Xona Games is an award-winning Xbox and PlayStation indie game studio, co-founded by Matthew Doucette and Jason Doucette. 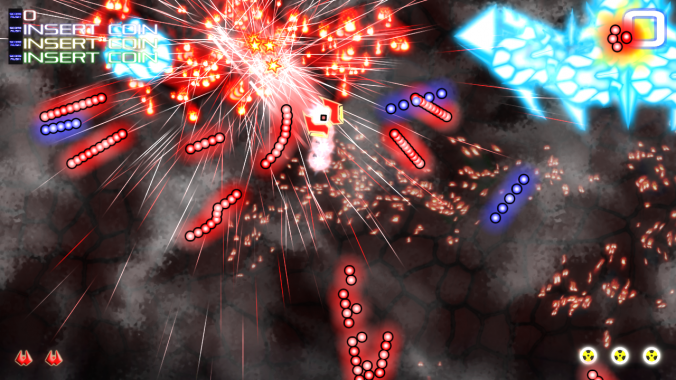 We make arcade-style intense retro games and best known for our $180,000 contest wins and our #1 shmup hits in Japan. Xona Games headquarters is located in The Hub Yarmouth, a co-working space also co-founded by Matthew. Matthew and Jason have been coding games since they were seven years old, before they owned a computer. 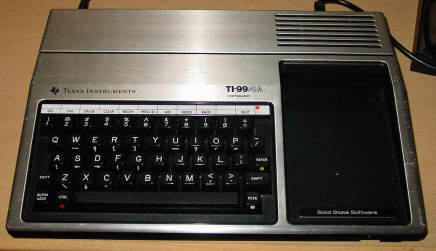 Their first personal computer was a TI-99/4A. Starting in early elementary school, they developed a “game code”, a formulated and sometimes philosophical list of do’s and don’t’s by which all of their games abide. Xona Games is the realization of a lifelong passion. Matthew (left) and Jason (center) in Xona Games studios. We have won prestigious awards (Innovacorp’s $100,000 prize, Tizen’s $50,000 prize, Roger’s $20,000 prize) and received worldwide press (Develop, Retro Gamer, Famitsu, Reviews On The Run, Official Xbox Magazine). We have won over $180,000 in contests. Our games have been rated from #1 in Canada (Duality ZF in Dream Build Play 2010) to #1 in Japan (Decimation X and Decimation X3 on XBLIG), and been top picks across many categories (IGN, Famitsu, Gamasutra,Joystiq). Every game we developed, released or not, has won awards. 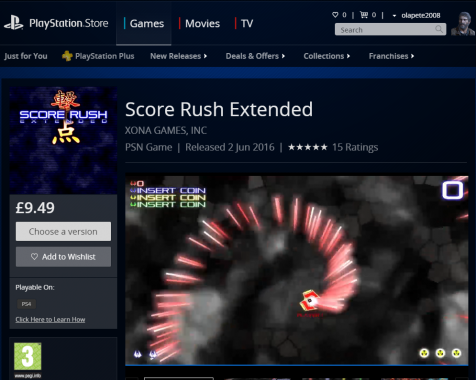 Our games have also become #1 best sellers in multiple countries (Decimation X, Decimation X3, and Score Rush). We have dominated the Japanese market withthree of the top five games and two best sellers, simultaneously. 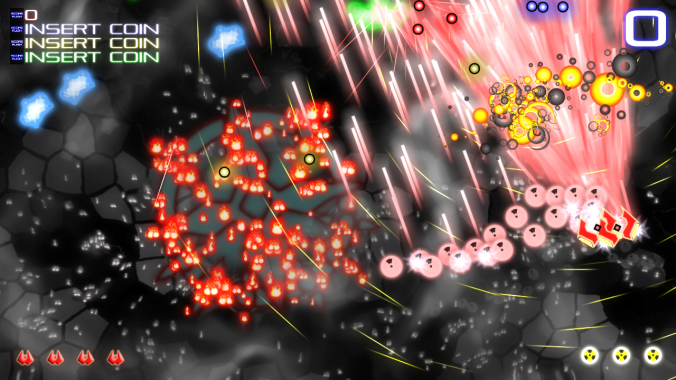 We have dominated XBLIG with 3 of the top 7 four-player shoot ’em ups and out of thousands of developers we are 1 of 3 studios to produce 3 or more 4+ star rated titles. Our game engine technology was recognized for technical excellence (IndiePub semi-finalist). Microsoft invited our studio to develop a launch title for their Windows Phone 7 launch (Decimation X2). 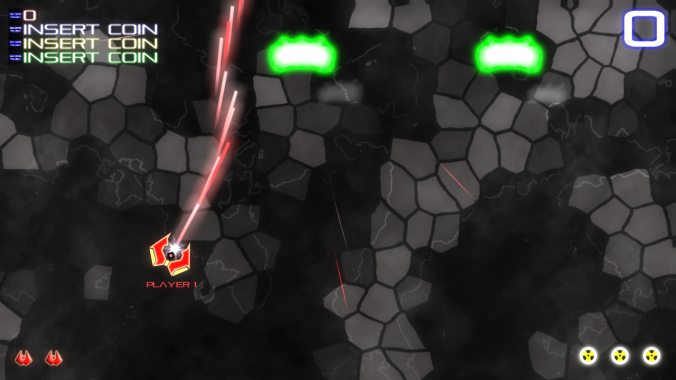 We have strong indie ties and were chosen to represent the Indie Games Winter Uprising. Our only mobile title won a highly commended award in WP7COMP, a Microsoft-supported Windows Phone 7 Competition, and was the only game that placed (the rest were “apps”). Turbulenz, a new online gaming platform, funded us to develop a launch title (Score Rush port) and even turned one of our games into a cake! 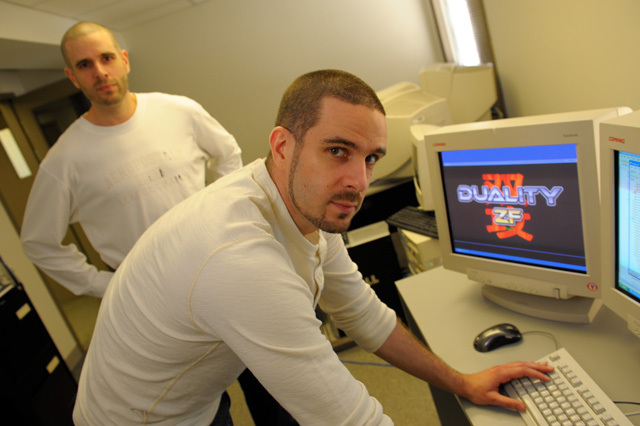 Jason (left) and Matthew (right), in the Xona Games studios. We have continued support by the Nova Scotian government, who have sent us to international game conferences including MIGS ’09, GDC ’10, GDC ’11, GDC ’12, GDC ’13. Other perks include a “Business Lounge” pass to MIGS, Game Connection at GDC ’10, and a GDC floor booth for ’11, ’12, and ’13. We are also included in Nova Scotia’s “Your Studio Here” promotions. We have even been congratulated by Nova Scotia’s House of Assembly. Our games are also featured by the New Brunswick government in Jalloo ’10, Jalloo ’13 , Jalloo ’15, and Jalloo ’16, a gaming festival hosted by NBCC Miramichi. We attend various gaming expos on our own, such as PAX East ’12, PAX Prime ’12, PAX East ’13, PAX East ’14, PAX East ’16, where we have placed first (PAX East ’13 Geometry Wars 2) and second (PAX East ’12 Geometry Wars 2) in gaming competitions. 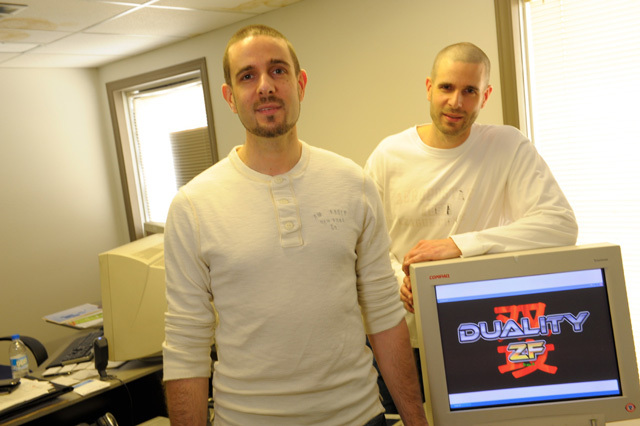 Jason (left) and Matthew (right) in Xona Games studios. Our games feature beautiful Imphenzia and hard-rocking Dragon Music Productions soundtracks, and are 4-player shoot ’em ups. Expect to see more genres exploited for their true potential in the future, including racing and beat ’em ups. We have only just begun. 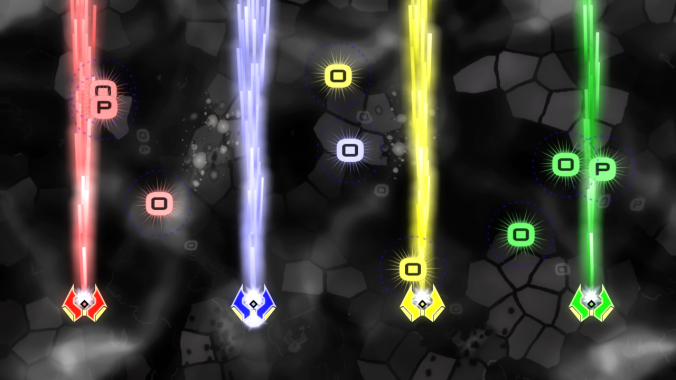 We are currently working on Duality ZF for Xbox LIVE Arcade and Steam. Feel free to visit our developer’s blog and check out our friends who have all done amazing things in the indie gaming industry! We have developed for Xbox LIVE Indie Games (XBLIG) (Decimation X, Decimation X3, Score Rush), Windows Phone 7 (Decimation X2) and HTML5 (Score Rush). We began to develop for Xbox LIVE Arcade (XBLA) (Duality ZF) but have cancelled to focus on next generation platforms (Xbox One and PS4). In the future we plan to develop for Windows PC (Steam, Desura), Nintendo Wii (WiiWare), iPhone/iPad (AppStore), and various Android devices! I am not sure now. I know my first console experience was Super Mario Bros. 2 on the NES. I remember laughing at how high Mario could jump. Realistically he was jumping more than his own height. This was not always the case for platformers that I had played up until that point. My first system was a TI-99/4A (xona.com/ti994a). So some of my first gaming experiences were Parsec, Munch Man, TI Invaders, and Car Wars. Before that I experienced a VIC-20 that my elementary school teacher owned and played a TRS-80 machine that Radio Shack had! I have been programming games since I was 7 years old, in grade 2. I’m not sure what got me into it. I just loved technology, programming, games, and computer graphics and sound. All of it. Back then, on a TI-99/4A or VIC-20, computers booted into BASIC programming language. They would not do anything until you started to code them. I think that inspired me to do so. Plus some games we owned were in BASIC so we could see the source. Some of our games we had to type in the source code. This is how we learned, by hacking. 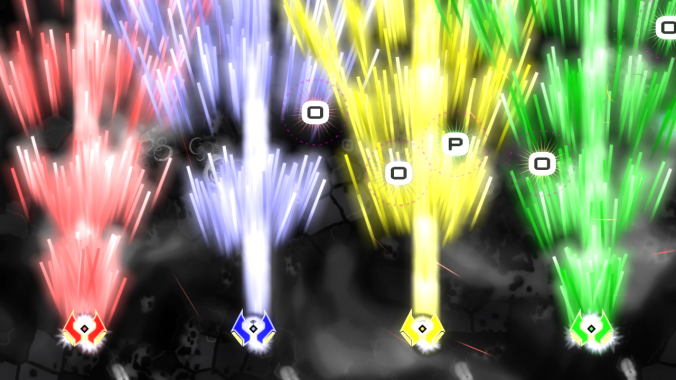 For Score Rush Extended, we used Microsoft Visual Studio to code our C# and XNA codebase. We used MonoGame to port the game to PS4. 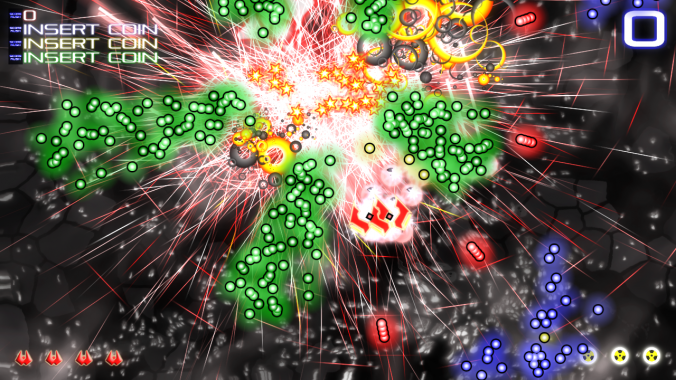 What hurdles did you have making your current game? After the completion of the game what game will you make? Too many to mention. From business to personal to corporate to financial and everything else. At this point explaining any of it would come off as complaining and I wish to avoid doing so. Making games is extremely hard. Making consoles games is even harder. Doing it by yourself harder still. And perhaps the hardest thing of all is doing it as a business instead of a hobby. There’s an idea known as the E-Myth, which is the notion that because you can do a thing you can therefore do a business doing that thing. It’s a real myth and lots of indie studios fail because of it. We have released 7 games so far and created 9 for release. This includes games in the Score Rush series and Decimation X series, both which have claimed #1 spots in Japan for user ratings and sales. 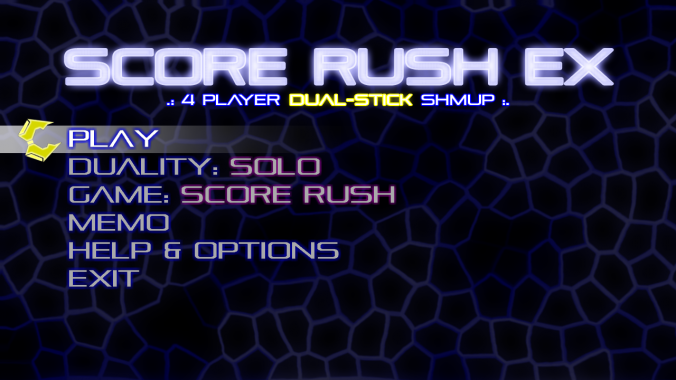 We are also infamously known for Duality ZF, the sequel to Score Rush, which has not yet been released. No sense concentrating on it now, however. We also have created many prototype games and even help students in our K-12 schools make games — using the same technology we use to make games — directly in our schools as a part of their school curriculum. It’s a part of our Kids Make Games project: xona.com/kidsmakegames. Yes I do. My top gaming platforms in order of age are: NES, Sega Gensis, PC (early mode 13h 1990’s days), PS1, Xbox 360, PS4. The Xbox One is still my most played current system, but I love the elegance of the PS4 just that extra bit more. Well, my favorite game of all time is Super Mario Bros. 3. It is unbelievably well done. Near perfection. In recent years Portal (1) and Braid are my top choices. Minecraft, however, I believe to be the best video game ever made, an opinion based on experience not sales. The sense of home, exploration, purpose, distance, being lost, community, etc. is beyond anything I have experienced in any other game. 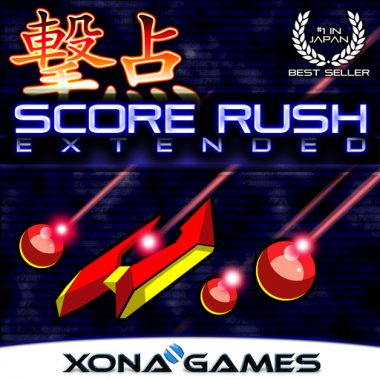 Right now, Score Rush Extended is my favorite game. It is dominating my life due to the release just 2 weeks ago. Aside from that I cannot answer this question honestly. I was very much into Forza 6 before. The real point here, is that becoming a game developer stops you from being a gamer. It is sad and unfortunate. Perhaps if I worked at a big studio it would not be like this. I try not to complain. There are lots of bad games. Raiden and Thunder Force! Those are my two most favorite shmup series!